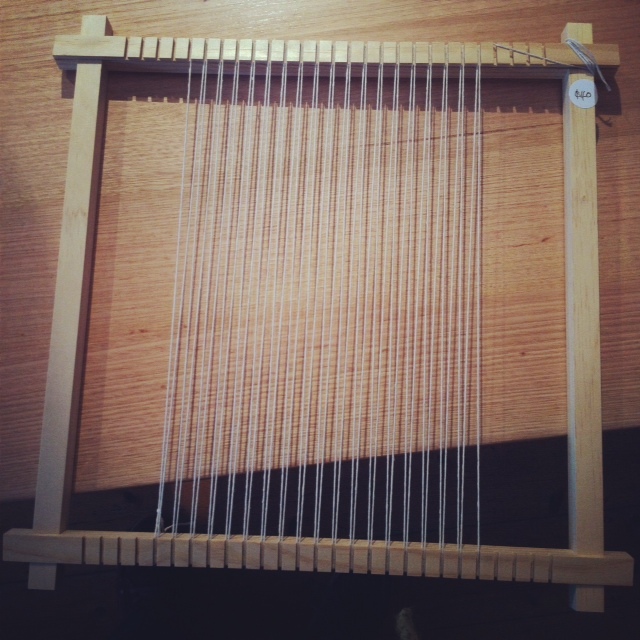 We recently began carrying a small number of weaving looms and tools from a great new Melbourne outfit, Loom and Spindle. 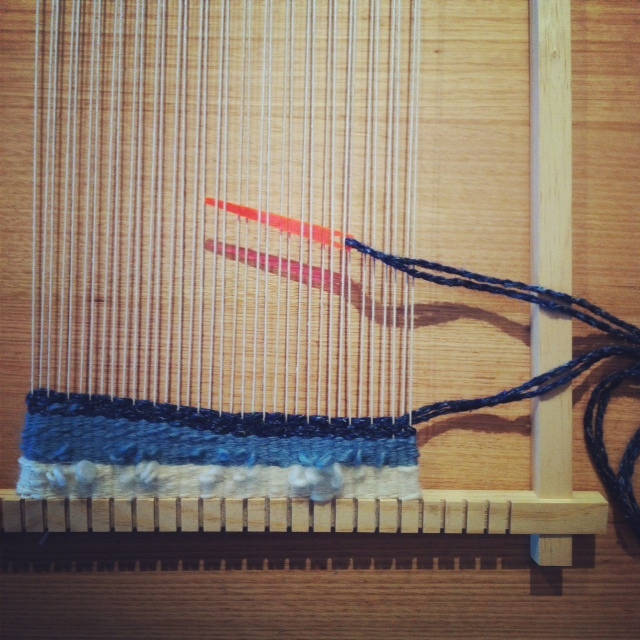 Andrea is a mad-keen weaver and developed these beautiful frame looms as a way of expanding access to weaving to those of us who want to weave small pieces or work in a portable format. She’s part of the wave of modern weaving and tapestry flooding the craft world at the moment and it’s really lovely to see a Melbourne craftsperson out there taking part of such a big movement. Loom and Spindle looms are made locally (by Andrea’s brother) and are beautifully cut with a super-smooth finish; we haven’t had a single fibre snag on the surface of our loom. And, thankfully for us here in the shop with no tools at hand, they are also super easy to assemble! 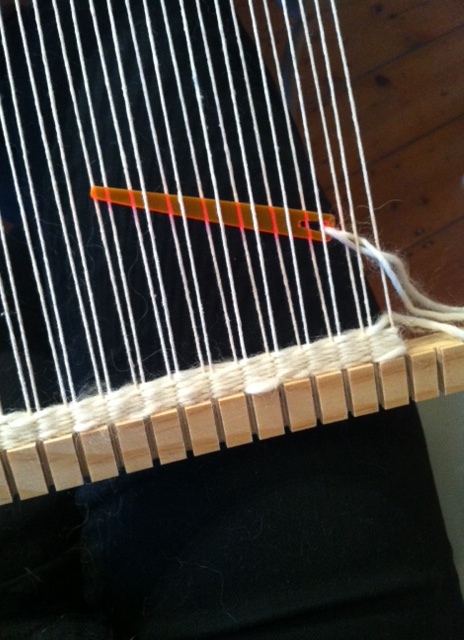 If you are keen to try weaving, these looms are such an easy way to get started; Andrea also offers a kit of perspex weaving tools so you have everything you need to get started. She also has some really helpful guidelines on her blog, including tutorials on assembling and warping your loom, materials you might like to try working with and tips and techniques to progressing from novice status. As we all know, sometimes we find that there’s only so far we can go on our own, so it’s good to know that there are some great folk teaching weaving around Melbourne: Rosemary Slade is holding a class in weaving basics this Saturday at Handmakers Factory and, if you are really serious about weaving, do consider the introductory and more advanced weaving courses available at the Victorian Weavers and Spinners Guild in North Carlton. There is a massive amount of accumulated knowledge in that place and many people willing to help you on your way, as well as an amazing range of fibres and dyes in the craft outlet. 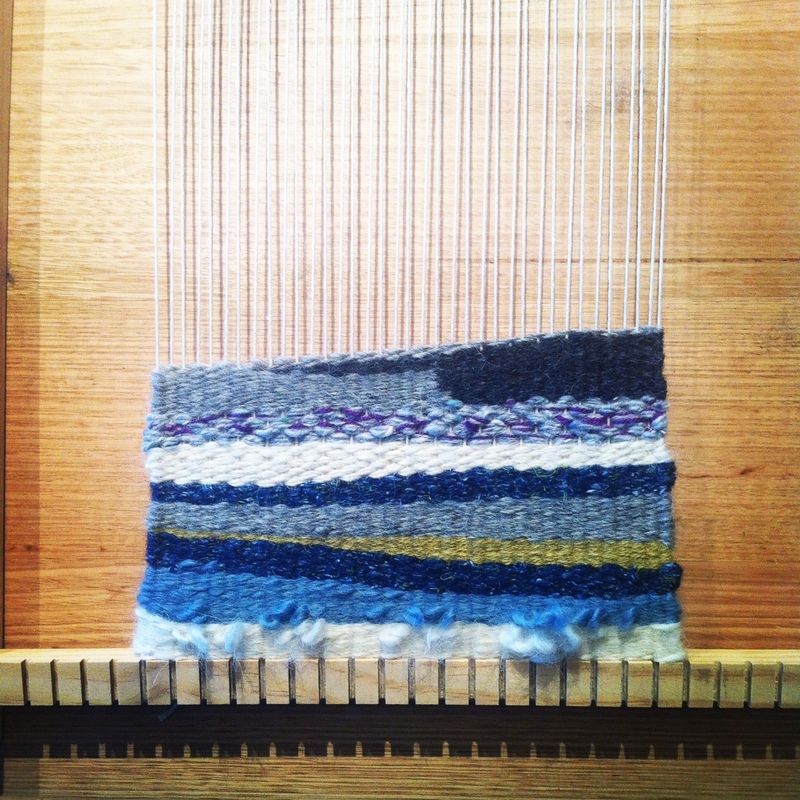 And the Australian Tapestry Workshop in South Melbourne is an inspiring place to visit and study too! Categories: In focus, New, Spotted in-store and out, Yarns | Tags: Loom and Spindle, Melbourne weaving classes, weaving looms | Permalink.